Arrhythmias are common cardiac complications that occur during pregnancy. Pregnancy is a arrythmogenic state and arrhythmias are more common in women who have either structurally normal or abnormal heart, congenital heart disease with or without preexisting arrhythmias. This cardiac complication may however present for the first time in pregnancy. Supraventricular and atrial tachycardia’s are much more common in women of childbearing age as compared to ventricular tachycardia’s and they may present for the first time during pregnancy or are triggered by pregnancy due to arrythmogenic state. We present a case of paroxysmal supraventricular tachycardia (PSVT) which occurred first time during pregnancy in a normal pregnant patient without any diagnosed underlying heart disease. The commonest arrhythmia in reproductive age group is paroxysmal supraventricular tachycardia (PSVT) which requires atrial or atrioventricular junctional tissue for its initiation and maintenance. PSVT in pregnancy is a type of tachyarrhythmia in which the heart rate is greater than 120 beats/ min. Arrhythmia that begins and ends abruptly are termed as paroxysmal and pregnant state has been identified as an independent risk factor for the development of paroxysmal SVT. Wolf-Parkinson-White syndrome and atrioventricular nodal re‐entrant tachycardia are the common types of SVT with an incidence of 1.2 per 1000 people. Pregnant women with symptoms suggestive of arrhythmia can present with a range of complaints, including dizziness, palpitations, presyncope, syncope, chest uneasiness, cardiac failure or fatigue. The presence of SVT during pregnancy can cause an exacerbation of these symptoms or new onset of these symptoms. A 20 year old patient married since 2 years, primigravida, 39.2 weeks by date and sonography scan was referred from a peripheral hospital in view of supraventricular tachycardia for further management in a tertiary care center. The patient was antenatally registered at the peripheral health center at 4 months of gestation and had 6 regular antenatal visits. She was apparently normal till 7 months of pregnancy. At 28 weeks patient had sudden onset of palpitation with sweating and discomfort in her chest. She was admitted in a private nursing home in view of above complaints and a heart rate of 200 beats/min. ECG was done which was suggestive of PSVT. Intravenous adenosine 6 mg was given and her heart rate was controlled. She was discharged on oral metoprolol 12.5 mg OD. She had a similar episode at 36 weeks, for which she was again managed similarly in the same hospital. She was asymptomatic after that and in view of two episodes of PSVT she was referred to tertiary care center for safe confinement. On arrival at our tertiary center she was asymptomatic, with a pulse rate of 96 beats/ minute, regular. Cardiovascular system examination was normal. On per abdomen examination the uterus was full term, cephalic presentation, fetal heart sounds were regular and uterus was relaxed. On per vaginum examination cervical os was closed, uneffaced and pelvis was adequate. Cardiology reference was done and screening 2D Echo was performed, which was suggestive of mild mitral regurgitation with ejection fraction of 60%. She was advised to step up the dose of oral metoprolol from 12.5 mg to 25 mg OD. She underwent an emergency lower segment cesarean section (LSCS) with mild cardiac risk for poor biophysical profile scores of 4/10. She underwent a LSCS under spinal anesthesia and IV adenosine was kept standby during the procedure. She delivered a healthy female baby with birth weight of 3.010 kg with Apgar score of 9/10. She tolerated the anesthesia and procedure well. Throughout the procedure she was on continuous ECG monitoring and did not have any episode of PSVT. Her postoperative course was uneventful and ECG before discharge was within normal limits. The neonate was also evaluated and had not suffered from any side effects of PSVT. Figure 1. ECG showing PSVT. The arrhythmogenesis during pregnancy is related to various hemodynamic, hormonal and autonomic changes that take place during pregnancy. The hemodynamic changes include increased intravascular volume which increases the preload that causes stretching of the cardiac chambers activating stretch activated channels resulting in membrane depolarization, shortening of the refractory period and thus a mismatch between depolarization and refractoriness. [2, 3] The hormonal changes include increased levels of estrogen and β-human chorionic gonadotropin and increased autonomic activity which increases the adrenergic activity which is pro-arrhythmic. Women with PSVT often present with palpitations, syncope, dizziness, shortness of breath and these often mimic normal physiological changes during pregnancy. The rest of the patients are detected during evaluation of a cardiac murmur. The investigations for the evaluation of arrhythmia during pregnancy are in the same line as those in nonpregnant state and include a thorough history and clinical examination. The different laboratory investigations includes full blood count, serum electrolytes, thyroid function tests, sugar, an electrocardiograph and echocardiography which will help to detect the structural and functional status of the heart. The management of the acute episode of PSVT in pregnancy is started with non pharmacological maneuver like vagal stimulation which includes Valsalva maneuver and carotid sinus massage as in non-pregnant state. The failure of the non pharmacological treatment is followed by pharmacological treatment with adenosine with conversion to normal sinus rhythm in 80 % of patients. The non pharmacological maneuvers should be tried initially before starting pharmacological treatment according to the recent recommendation. Adenosine is safe during the second and third trimesters but there is not enough data to evaluate its safety during the first trimester. Adenosine has a half life of 10 seconds and fetal monitoring should be performed when it is given due to its significant risk to the fetus. Certain anti arrhythmic Class C drugs like adenosine, dioxin, quinidine, procainamide, mexilente, flecainide, amidarone, verapamil, diltiazin, propranolol, metoprolol and Class B drugs like lidocaine, sotalol can cross the placental barrier., and these should be used cautiously to prevent adverse effects on the fetus. Teratogenic risk is higher during the first trimester and such drugs should be avoided during this period according to the American College of Cardiology and American Heart Association Task Force. The Food and Drug Administration has categorized antiarrhythmic drugs as category C. The choice of the drug depends not only on the type of arrhythmia, but also whether a single dose or multiple antiarrhythmic drugs are needed or long-term treatment for prevention of recurrence is required. The failure of the above treatment or if the patient is unstable then electrical cardioversion is the treatment of choice. Medications with substantially lesser risk should be considered as patient safety is more important. The various factors which affect the therapeutic blood levels of these drugs during pregnancy include increase in intravascular volume requiring increased loading dose necessary to achieve therapeutic blood concentrations, decrease in plasma proteins concentration which reduces the fraction of bound drugs, increased renal clearance of drugs due to increase in renal blood flow and increased hepatic metabolism which renders the serum concentration of some drugs unpredictable and thus predisposes to arrhythmias. Beta blockers although used widely for the treatment of arrhythmias, cross the placental barrier and are hence associated with adverse effects such as intrauterine growth restriction, hypoglycemia, hypocalcemia, respiratory depression and neonatal bradycardia when treatment is started early in pregnancy. Chronic prophylactic therapy is usually avoided and is reserved for recurrent and sustained symptomatic arrhythmias. 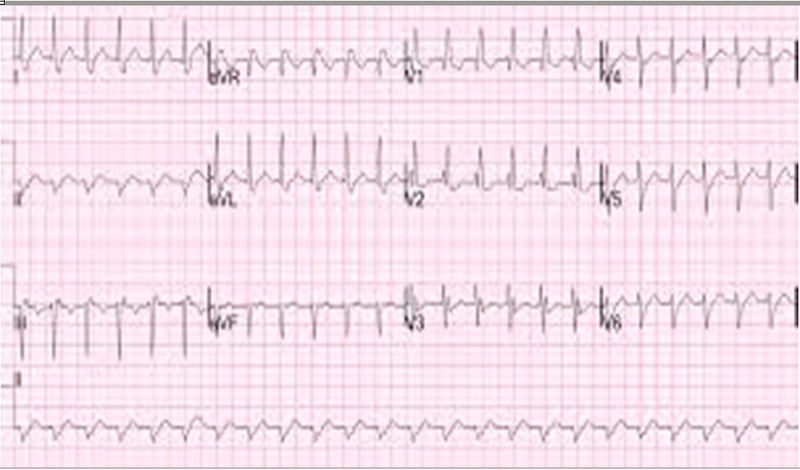 Electric cardioversion is reserved for drug refractory arrhythmias. It can be performed without complications at all stages of pregnancy and is usually well tolerated by the fetus. To decrease the risk of fetus arrhythmogenesis from the electrical discharge, maternal cardioversion should be done with fetal monitoring by cardiotocography. Radio frequency ablation is the modality of choice for recurrent symptomatic episodes which are resistant to drug therapy. The potential additional risks of radio frequency ablation in a pregnant patient include fetal radiation exposure and maternal hemodynamic instability leading to fetal compromise and should be performed in the second or the third trimester. The fluoroscopic exposure to the fetus should be minimized by abdominal shielding or using pulsed fluoroscopy. Maternal-fetal medicine experts should be involved for urgent surgical delivery after the period of viability. The incidence of cardiac arrhythmias is higher with pregnancy and different forms of arrhythmia can be encountered. The choice of medication is limited in pregnancy and treatment remains a challenge, as clinical decision must be decided with due consideration of both maternal and fetal factors. In pregnant women with maternal arrhythmias a interdisciplinary team approach with obstetricians, cardiologist, anesthesiologist and neonatologist should be practiced. Rotmensch HH, Rotmensch S, Elkayam U. Management of cardiac arrhythmias during pregnancy. Current concepts. Drugs 1987;33(6):623–33. Ghosh N, Luk A, Derzko C, Dorian P, Chi-Ming C. The Acute Treatment of Maternal Supraventricular Tachycardias During Pregnancy: A Review of the Literature. J Obstet Gynaecol Can 2011;33(1):17–23. Moya F, Thorndike V. Passage of drugs across the placenta. Am J Obstet Gynecol 1962;84:1778-98. Schroeder JS, Harrison DC. Repeated cardioversion during pregnancy. 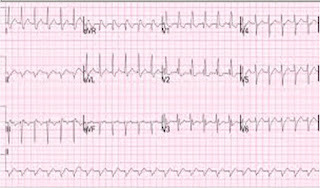 Treatment of refractory paroxysmal atrial tachycardia during 3 successive pregnancies. Am J Cardiol 1971;27(4):445-6. Szumowski L, Szufladowicz E, Orczykowski M, Bodalski R, Derejko P, Przybylski A, et al. Ablation of severe drug-resistant tachyarrhythmia during pregnancy.J Cardiovasc Electrophysiol 2010;21(8):877-82.